Join us in 2019: Friday, December 6th at 8 p.m. and Saturday, December 7th at 6 p.m.
We, at Downtown Denver Partnership, invite you to join us for a spectacular event! 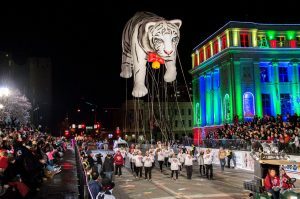 The 9NEWS Parade of Lights is a magical nighttime event, which features more than 40 units including extravagantly illuminated floats, giant helium-filled character balloons, magnificent marching bands, traditional equestrian units and vibrant cultural entries. Join us at Civic Center Park! 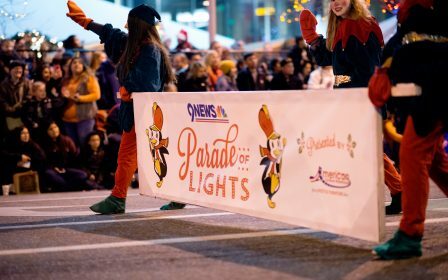 Every year, more than 500 volunteers make the 9NEWS Parade of Lights happen. Volunteer positions, include: costume characters, helium balloon handlers, grandstand managers, parade production assistance and more. 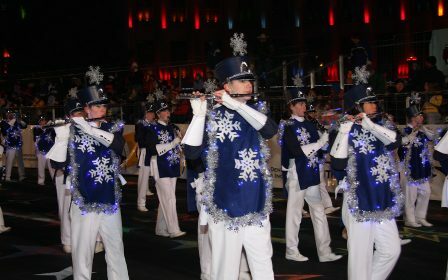 The volunteer application is closed and will open for the 2019 Parade of Lights soon. 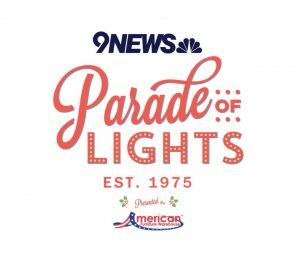 For questions please call (303) 840-0045 or email volunteers@denverparadeoflights.com. Invite your friends, post your pics and use #DENParadeofLights! Learn about the Performance Group & Specialty Unit, Marching Band, and Volunteer Applications. Learn about the 2018 Sponsors and how you can support the Parade.